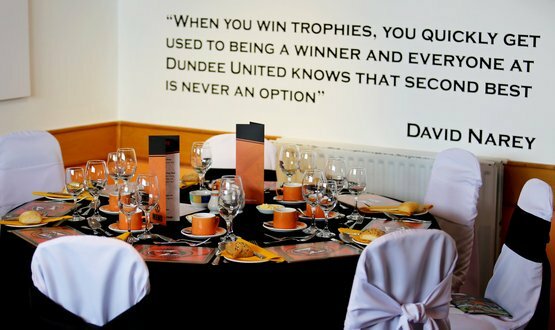 Dundee United Community Trust is again delighted to have hospitality places available to donate for all Dundee United FC home league matches in the 2018/2019 season. Our anonymous supporter has again given generously to allow the Trust to find worthy causes to enjoy watching United in style. If you would like to be considered – or nominate someone else to be considered – for hospitality at a Dundee United FC league match this season then please download our application form (here) and email it to enquiries@dundeeunitedct.co.uk. In 2017/2018 we gave away 144 hospitality spaces to 30 good causes in and around Dundee and this year we are looking to do the same. We are especially keen to support applications which provide equality of opportunity and give access to a great experience to those who may otherwise miss out due to their circumstances. We also consider applications from other Charities and groups to gift hospitality to those who give up their own time to volunteer for good causes in the local community. There are limited spaces, so please act fast. We are always looking for worthy causes to donate these packages to, so please email enquiries@dundeeunitedct.co.uk to nominate someone or make a request.